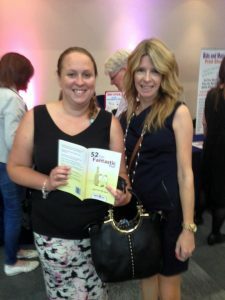 It is 12 months ago this week since my second book 52 Tips For A Fantastic Year! was launched at our company conference at the ICC in Birmingham. I really enjoyed signing books for people on the day. This weekend I will be back in Birmingham for the Christmas Launch, it will be a very exciting weekend! 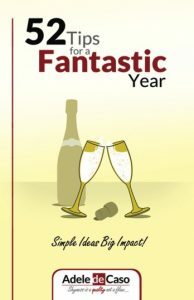 52 Tips For A Fantastic Year! is a compilation of my favourite tips that I have learned that have helped me on my success journey. The tips are very simple to implement, but if put into place will have a big impact on your life. The tips are split into four categories, mindset, self confidence, goals and ambitions and success habits. From the mindset category – Eliminate “I can’t”. The words ‘I can’t’ make you very weak when you say them and also when you think them. Why not replace the words ‘I can’t’ with ‘I can‘? Every time you find yourself saying that you can’t do something, switch immediately to thoughts of ‘I can do this’. It will take practice at first, but it will become easier. 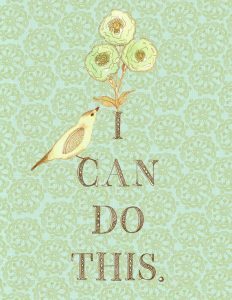 Try displaying the words ‘I can’ around your home. I have an image as the background on my phone and displayed on the image are the words “I Can Do This“. This really works for me. By telling yourself that you can do it, you will develop the belief that you can do it and subsequently yo will take the actions that are necessary. From the self-confidence category – Be confident in who you are. The way you carry yourself and present yourself will make a difference in the way that people treat you. You are constantly sending out subconscious messages with your body language. Stand tall, put your shoulders back and hold your head high. Walk, talk, think and act confidently. Look people in the eye when you are talking to them. Be confident in who you are. By all means admire other people, but don’t be so in awe of them that you intimidate yourself. Say to yourself; “I am proud of who I am”. You may not be feeling confident at this moment, but by acting confident, you will begin to feel so. You can pretend whilst you are developing. Do you have a monthly or yearly income that you would love to achieve? Maybe there is something that you would love to do that would generate a specific amount of money? Writing yourself a cheque is a great visualisation technique. Determine the amount of money you desire, write the amount on the blank cheque (obtainable from www.thesecret.tv), date the cheque with the date you want to receive the money and pay the money to yourself. Why not put a copy on your vision board and paste one into your vision book? The actor Jim Carey did this when he was starting out. He wrote himself a cheque for ten million dollars for ‘acting services rendered‘ and dated it Thanksgiving 1995 (five years later). He then put it in his wallet and kept it there. Importantly, he had faith that he would receive the money, and he took the necessary actions. Just before Thanksgiving 1995, he found out that he was going to earn ten million dollars for his film “Dumber and Dumber“. He then went on to command even more for his subsequent films. Learn to say ‘Yes’ to opportunities that present themselves, even if sometimes the task seems to far out of your comfort zone. My motto has always been, if it feels right, say ‘yes’ and figure out the how later on. You will usually know whether or not it feels like the right thing to do. One of the first personal development books that I ever read was called ‘Feel the fear and do it anyway‘ by Susan Jeffers. If you want to achieve success in your life you are going to have to do some things that feel a little uncomfortable sometimes. This is how you will grow and develop as an individual. Just imagine how you will feel when you achieve something that you were afraid of doing. 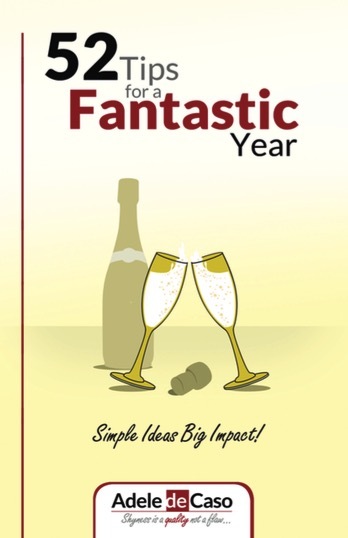 If you would like a copy of 52 Tips For A Fantastic Year! you can get it here in paperback format or here in Kindle format. If you enjoyed this post, please leave me a comment below. This entry was posted in Blog, Uncategorized and tagged 52 Tips, Confidence, mindset, Success. Bookmark the permalink.